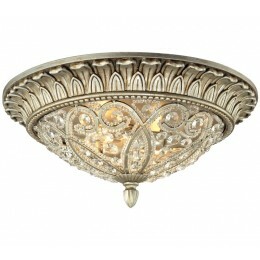 The luxuriousness of filigree crystal is unmistakable. The Andalusia collection features our glass bead-lined scrolled iron frame enhanced with shimmering crystals and an Aged Silver finish to blend with a multitude of design themes. 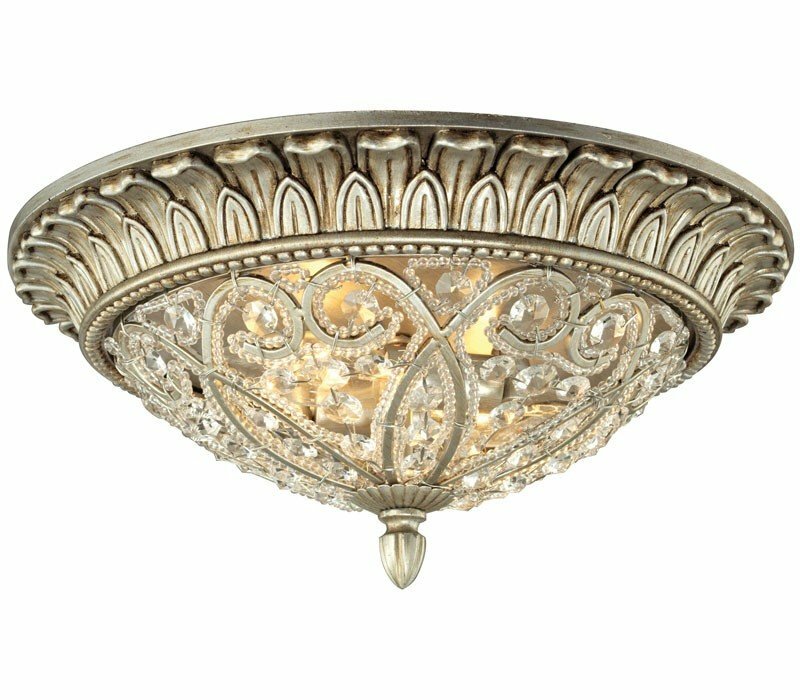 The ELK 11693/2 Andalusia collection Close to Ceiling Lighting in Aged Silver uses Incandescent light output and brings Antique style. The total wattage is 120 and the voltage is 120 volts. The ELK Lighting 11693/2 requires 2 bulbs (not included). Additional Information: Shade-Crystal - Type 3.